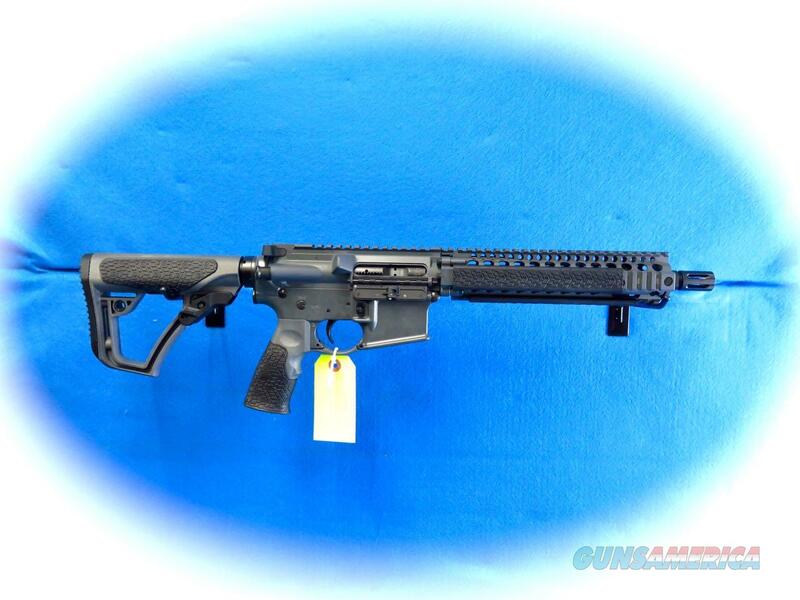 Description: Daniel Defense MK18 - Factory SBR 5.56mm Cal Semi Auto Carbine Tornado Grey. Use what “THEY” use. The Daniel Defense MK18 features the railed forend Daniel Defense currently provides to USSOCOM and a 10.3” Cold Hammer Forged Barrel. The Flat Dark Earth MK18 rail system features the Bolt-Up System and has been rigorously tested prior to fielding by USSOCOM (currently over 15,000 units). The 10.3” barrel is the same length in use for the MK18 upper most commonly used for CQB operations. The MK18 Factory SBR by Daniel Defense is unmatched in size, weight, and performance. This rifle also comes with the newly designed, rugged and comfortable Daniel Defense Buttstock and Pistol Grip. This firearm is a regulated item by the National Firearms Act (NFA). Please check with your local and state municipalities for any further regulatory requirements. It is the buyer’s responsibility to make sure they comply with all NFA rules and applicable laws. Please call us for instructions about purchasing this firearm.